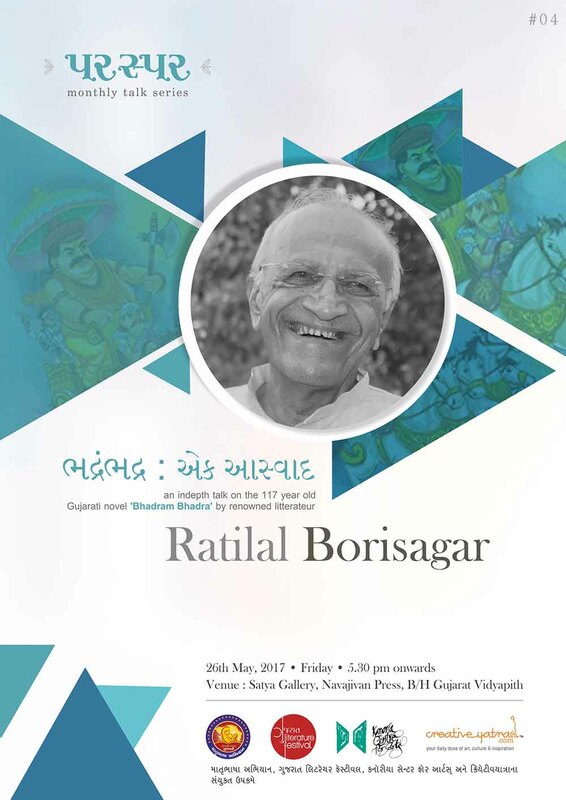 In the fourth talk of the season veteran litterateur Ratilal Borisagar will present an interesting analytical talk to discuss the Gujarati Classic ‘Bhadram Bhadra’ by Ramanbhai Neelkanth. Bhadram Bhadra is a timeless piece of literature that explores and exposes the human frailty of attaching significance to tenets that has lost relevance. It generates humour from the situations wherein human progress is thwarted due to dogmatic belief systems. It will be a great opportunity to know about the classic from a veteran who is himself a noted satirist, humorist, and Children Literature expert. Young people who have only heard references on ‘Bhadram Bhadra’ should definitely make it to the event.